Teer Coatings Ltd » Thin Film Coatings » UK | Size-Selected ClusterBeam Source . Teer Coatings has developed a new instrument for the gas-phase synthesis and deposition of nano-clusters. 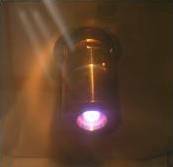 The clusters generated by magnetron sputtering and gas condensation can be size-selected with a mass resolution > 100, and beam currents up to 1nA are available. Single and multi-element clusters can now be created. 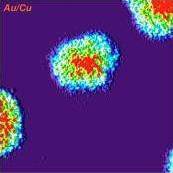 The clusters can be elemental or alloys, synthesised from multiple elemental sources or alloy targets. 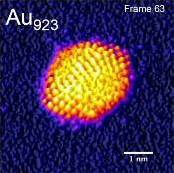 Clusters can be “size-selected” via a dynamic lateral mass filter with beam currents up to 1nA, and sized from single atoms to >10nm. If a broader cluster size range is acceptable in a given application, clusters can be extracted before the mass filter, at enhanced rates. They can be deposited on a range of vacuum-compatible substrates, including powders as well as planar materials. The gas-phase approach results in ultra-clean clusters, free of ligands and by-products inherent in the conventional chemical synthesis of similar materials.